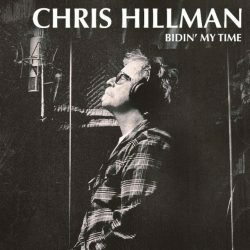 News courtesy of Stereogum this morning who report: “This fall, the Byrds’ Chris Hillman will release his first studio album in over a decade, Bidin’ My Time. It was produced by Tom Petty at his studio in SoCal, and featured guests on the recording include fellow Byrds David Crosby and Roger McGuinn, Herb Pedersen (who also served as executive producer), John Jorgensen, Jay Dee Maness, a bunch of Heartbreakers affiliates, and more. The album contains a few reworkings of old Byrds tracks and a number of Hillman originals. Check out the tracklist and a teaser for the album below. Chris, David, Roger ? That’s as good as it gets these days. Handful of UK dates would be in order. Well, I can dream. Dreaming is free.